Getting fillers often means remembering to book appointments every few months. My name is James Christian Sardelli, and I am a licensed physician’s assistant who focuses on cosmetic injectables. What if I told you that you could increase the volume in your face to give you a gorgeous, youthful appearance, and not have to come in for another treatment for five years or more? It may seem too good to be true, but it’s not. It’s Bellafill. Bellafill is a FDA approved filler that has long-lasting results – up to five years. This is incredibly longer than other fillers, of which most have the staying power of about six to nine months. This long-lasting injectable has been studied clinically in a dermal-filler study, which has been marked as the largest and longest study thus far. It involved 1,008 patients and it spanned across the United States. It was inserted into the nasal-labial folds of participants, and in five years, the participants’ wrinkles were reassessed. There was an 87 percent retention rate, or 87 percent of the participants still had the original results from five years earlier! But, how does it work so well and for so long? The formula is made up of collagen, polymethylmethacrylate (PMMA) microspheres and lidocaine. When injected into the cheeks, the body absorbs the collagen and the PMMA spheres in the formula plump the area. 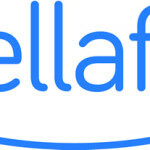 Bellafill isn’t for everyone. Some people are allergic to cow collagen, which is in the formula. You will receive an allergy test before injection to rule out the potential for allergic reactions. If the test shows an allergy, the product cannot be used on that person. Since it lasts for five years, this substance is considered semi-permanent. This might not be something you want to do if you’re not sure of what more volume in your cheeks will look like. Some people use a different filler at first to see what the results will look like, and then switch to Bellafill when they are sure they like the additional volume boost. This volumizing injectable is an amazing filler that many people have trusted to give them a fresh, youthful appearance. In the longitudinal study mentioned earlier, 83 percent of the participants rated themselves satisfied or very satisfied. Many of them said they were more satisfied with the results at the five-year mark versus the one-year mark, as the PMMA spheres laid more new collagen in their cheeks. Are you intrigued by the long-lasting results you just learned about? Why not schedule a free consultation with me today! We can discuss details about boosting volume in your cheeks using this long-lasting cosmetic injectable. James Christian Cosmetics proudly serves Suffolk County, and the surrounding areas of Long Island and beyond including East Setauket, Islip, West Hampton Beach, Commack, Manhattan, Brooklyn, Rockville Centre, Farmington, Babylon Village, and Huntington Bay, New York.